These past couple days have been some of the most important days of the year for the fashion industry as it was Fashion Week in Paris, New York and Milan! From Kaia Gerber making her runway debut to Rihanna bringing motor bikes onto the runway, fashion week had it all. At just 16 years of age (can she even drive!? ), Kaia walked for Calvin Klein, Alexander Wang, Rihanna’s Fenty x Puma collaboration to Burberry, Moschino and Prada. She definitely proved that she comes from supermodel royalty being the daughter of Cindy Crawford. 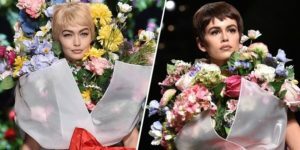 One of the best moments from Fashion Week had to be Donatella Versace’s tribute to Gianni Versace by bringing out 90’s supermodels; Cindy Crawford, Naomi Campbell, Carla Bruni, Claudia Shiffer and Helena Christensen. The collection was a great reflection of Gianni’s style mixed with today’s trends. There’s a Bun in the (Kardashian) Oven!! This past weekend we also saw one of the biggest news break in the Kardashian world – the youngest Jenner is pregnant? 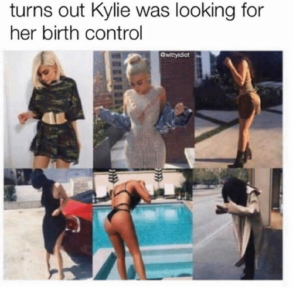 Champagne Tiny definitely has a really hard time believing that it’s real given that Kylie Jenner and Travis Scott just started dating in April this year and most of her recent pictures and snaps have not shown any significant ‘baby bump’. It is also quite unusual for the Kardashian-Jenner clan not to comment anything on this situation so guess we have to wait it out to find out the truth! The time has come. The wait is almost up. Not only is it homecoming but it is officially the rematch of the 2016 Yates Cup. It’s okay Western, we have boxes of Kleenex for you to take back to your fake hoco or FOCO or whatever it’s called? With the game starting at 1pm this Saturday, September 29th, it is sure to be a homecoming to remember!! Don’t worry though, Steffy Wap and Champagne Tiny know many of you will be up before 1pm eating pancakes and maybe drinking some “special juice.” And if that’s you awesome, and if that’s not you, still awesome; just remember to be responsible and deck out like crazy in purple and gold! River Town Saints and Kira Isabella are performing the Turret on Friday night! Shoutout to A-team for planning this unreal concert! Better purchase those tickets before its too late!